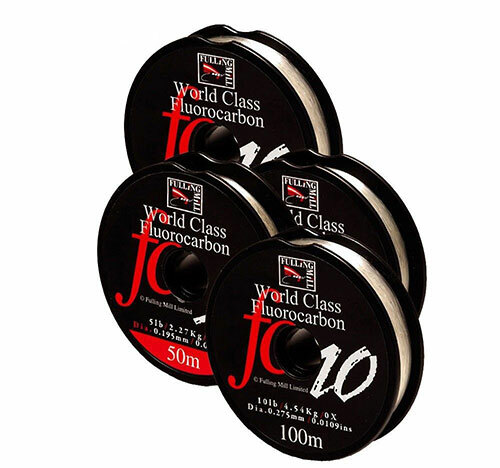 Fulling Mill Fluorocarbon Tippet is the market leading Fluorocarbon favoured by competition and recreational anglers alike. Tough, durable and slightly heavier than water which all helps Fulling Mill’s Fluorocarbon tippet material to sink below the surface where it becomes almost invisible. All Fulling Mill Fluorocarbon Tippet material spools clip together for easy storage.